Specializing in Generator installations, Car Charging Stations, and Machinery Control Wiring and Troubleshooting. professional, neat, and on-time service. 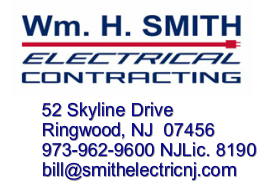 Electrical Service – Including service upgrades, generators, car charging stations, landscape lighting, and fiber optic lighting for residential and commercial customers. at 973-962-9600 or on our contact us page for a FREE estimate.